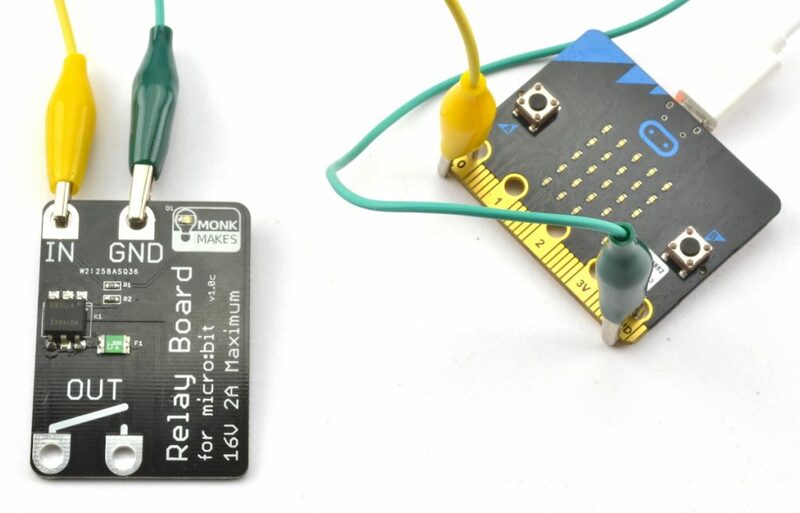 The Monk Makes Relay for MICRO:BIT is a solid-state (no moving parts) relay that allows an output of a micro:bit to turn things on and off. A micro:bit can turn a LED on and off directly, but anything more powerful requires something like a relay or a transistor. The MonkMakes Relay for micro:bit is much easier to use, acting like a simple micro:bit controlled switch. This relay can be used to switch low voltage devices such as light bulbs, a motor, a small heating element or even a string of 12V LED lighting. The voltage needs to be kept under 16V, but the relay will automatically protect itself against too much current.